Here we have wooden anvil amboss. But this kind of wooden and handmade product is not use to shapping, hammering curves pieces of metal or another activity that use hammer. This wooden anvil amboss is use only for decoration your house to get some unique touch. 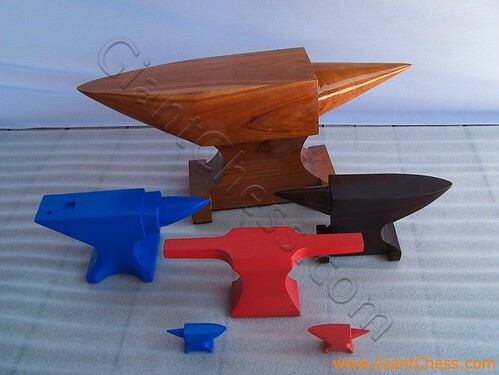 Put those Anvil Ambos decor from the giant to the small on your table.